How to enter: Purchase any GAIN or TIDE detergent along with a BOUNTY or CHARMIN product to enter. Write your name, telephone number, and email on the receipt and put it in the ballot box at the front of the store. Promotion ends on January 30th, 2019. ALL SIZES ELIGIBLE. 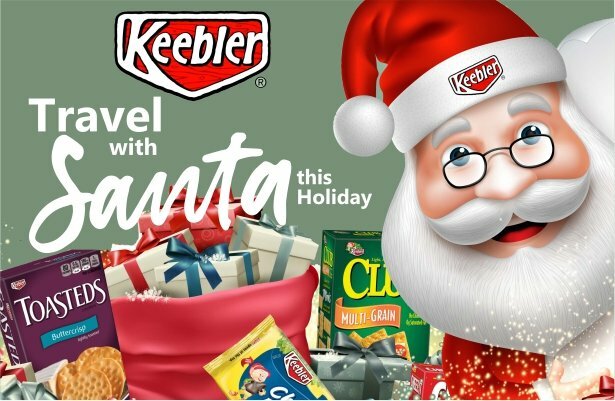 Bonus: Redeem a Keebler Santa Hat or Cheez-It Storage Container when you enter at BGA. 1. Bring your receipt to BGA, 1 Mill Creek. 3. Send a clear picture of your receipt to BGA’s Facebook or Instagram page as a private message. Enter to Win 1 of 3 Laptop & Printer Combos or 1 of 5 $250 Phoenix Gift Cards. Purchase any Ritz, Oreo or Chips Ahoy Package 8oz or larger or any Cadbury Bag Chocolate 109g or larger from participating stores. Fill out receipt/entry form and drop in ballot box at front of store or at BGA office. Contest ends September 30th, 2018. Winners will be randomly selected and contacted by October 5th, 2018. HOW TO ENTER: Beginning Sept 1st, 2018 and Ending September 30th, 2018. 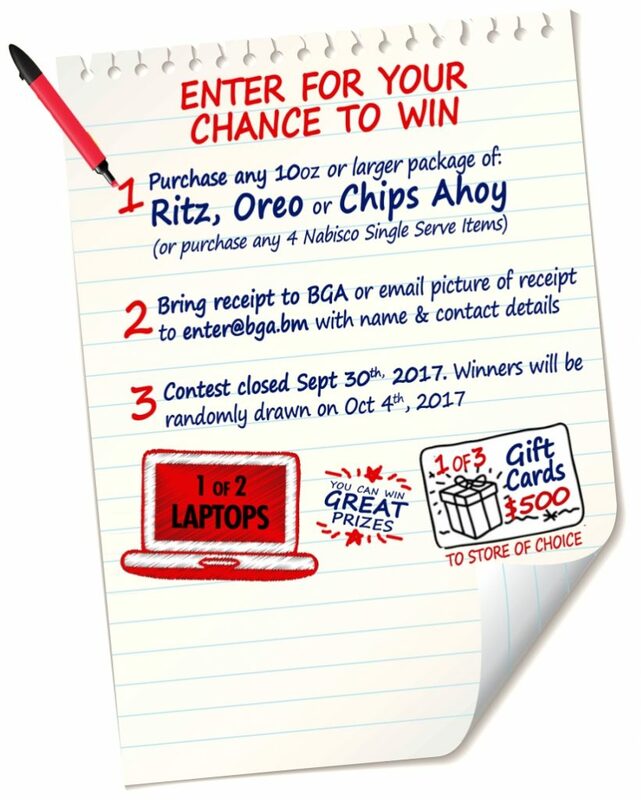 Consumers at participating stores that purchase any 8oz or larger Ritz, Oreo or Chip Ahoy product or Cadbury Bags 109g or larger to enter for a chance to win prizes 1 of 3 Laptop & Printer Combos. Eligible participants show their valid proof of purchase at the booth area valid proof of purchase must include any 8oz+ Oreo, Ritz or Chips Ahoy product bought in-store on the specified days of promotion to participate in the promotion. No previous dated bills allowed for current activation. Consumers must purchase Nabisco products with the value range identified in order to participate in the promotion. Cadbury Chocolate drinks and/or Cocoa Powder and Cadbury Biscuits are not qualified for this promotion. ELIGIBILITY: Open to residents of Bermuda, 18 years of age and older as of Sept 1st and children under 18 years are to be accompanied by a parent or legal guardian. All employees of BGA Wholesale Ltd. (“Judges”) – an authorized distributor of Mondelez Int. Participating retailers, contracted promoters, and employees of participating stores (Promotion Parties) and also members of their immediate family or persons living in the same household are not eligible to participate. PRIZES: 1 of 3 – Acer 15.6″ Notebook Laptop with Microsoft Office package and HP DeskJet 2135 Printer Packages ($600 value) or 1 of 5 – $250 Phoenix Store Gift Cards. REDEMPTION: (Winners will be randomly drawn and contacted by Oct 5th, 2018) Customers would be required to submit their current receipt to participate in the Nabisco promotion. Each prize given is to be documented and signed for receiving on a redemption sheet that will be provided. By entering redemption program, entrant accepts and agrees to these Official Rules of the promotion, which shall be final in all matters. Acceptance also gives permission to the Promotion Parties to use image and likeness for marketing purposes without further compensation or right of approval. Acceptance also constitutes permission to the Promotion Parties to use winner’s name and its photography and likeness for marketing purposes without further compensation or right of approval, unless prohibited by law. Sponsor and its affiliated companies will not be responsible for lost, late, or misdirected entries or prize notices or for any typographical, or other error in the printing of the offer, administration of the sweepstakes, announcement of the prize or for the failure of any retailer or third party to forward entries to Judges prior to random drawing. In the event of any such error or failure, Sponsor reserves the right to request that the Judges modify this sweepstakes in a manner deemed reasonable by the Judges, at the Judges’ sole discretion. All federal, state, provincial, territorial, and local laws apply. BGA ballot boxes will be stationed at participating stores. WAIVER: By entering this promotion, participant waives all rights to claim punitive, incidental and consequential damages, attorneys’ fees or any damages other than actual out-of-pocket costs incurred to enter. List of Stores: Lindos Group (2 stores), Arnolds Stores (5 stores), Market Place Stores (8 stores). 1. 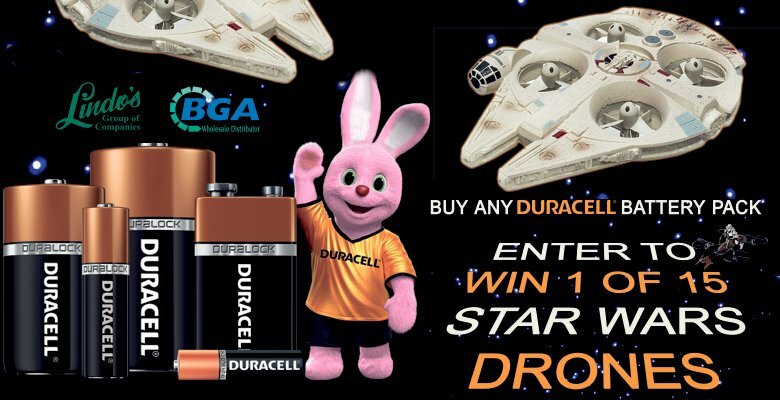 Purchase any blister pack of Duracell Battery AA, AAA, C, D, + instantly win FREE gift from Duracell (while supplies last). 2. Drop Entry receipt into ballot box to enter to WIN 1 of 15 Special Stars Wars Drones! 3. Contest ends June 1st, 2018. WITH CHARMIN or BOUNTY. All sizes are eligible. Purchase any GAIN or TIDE detergent of any size along with a BOUNTY or CHARMIN product of any size to enter. Write your name, telephone number, and email on the receipt and put it in the ballot box at the front of the store. Promotion ends on January 30th, 2018. BGA and Lindo’s employees are not eligible to enter. 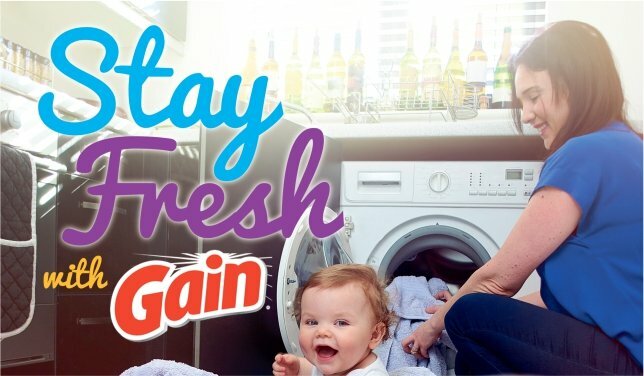 Get 50% Off Gain Liquid Detergent (16 oz. and up) when you buy any Gain Laundry Detergent! To receive 50% off of Gain Liquid Detergent (16 oz. 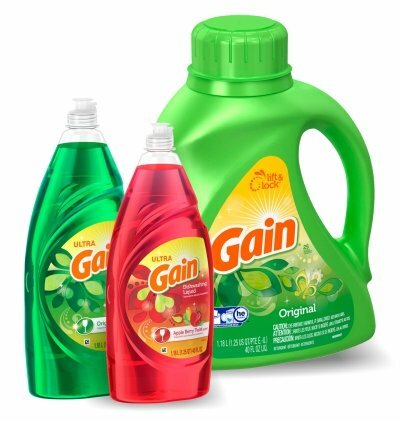 or larger), simply bring it to the cash register along with your Gain Laundry Detergent and the promotional price will be applied. This promotion is only valid whilst stock is available at participating stores. 1. HOW TO ENTER: Beginning August 7th, 2017 and ending September 30, 2017. 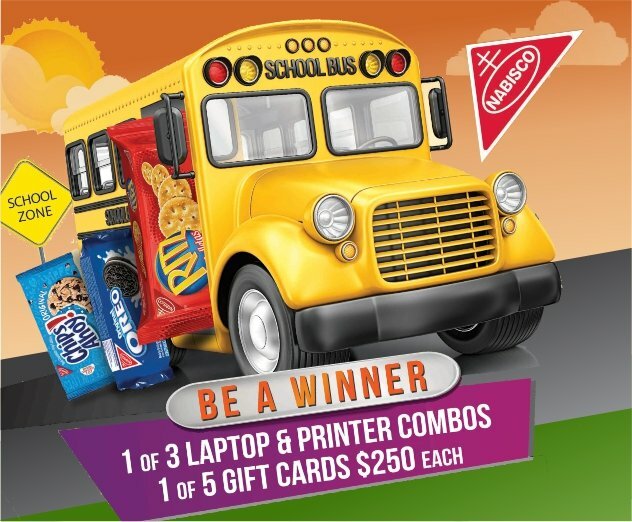 Consumers at participating stores that purchase any 10oz or larger Nabisco product to the value of $6 or more can enter for a chance to win one of five prizes. Dell Laptop (2) or $500 Gift Card (3) to the store of winner’s choice. Eligible participants show their valid proof of purchase clearly showing Nabisco products bought in-store on the specified days of the contest to participate in the promotion. No previous dated bills allowed for current activation. Consumers must purchase Nabisco products with the value range identified to participate in the promotion. 2. ELIGIBILITY: Open to residents of Bermuda, 18 years of age and older as of August 7th, 2017 and children under 18 are to be accompanied by a parent or legal guardian. All employees of BGA (“Judges”) – an authorized distributor of Mondelez Int. Participating retailers, contracted promoters, and employees of participating stores (Promotion Parties) and members of their immediate family or persons living in the same household are not eligible to participate. 3. PRIZES: (list of prices) 1st Prize: 2-Dell Intel 17 – 7500U laptop ($1295 value each) – 2 winners. 2nd Prize: $500 Gift Card to store of winner’s choosing – 3 winners. 4. REDEMPTION: Participants can send a scan or clear photograph of their receipt to *protected email* along with name and contact details. WINNERS MUST present receipt to redeem prize. Receipts can also be dropped off at BGA, 1 Mill Creek Road, Pembroke. Winners names will be randomly drawn on October 4th, 2017 and contacted by BGA Marketing Dept. Winners will be announced by October 9th, 2017 via Facebook. Each prize given is to be documented and signed for receiving on a redemption sheet that will be provided. By entering redemption program, entrant accepts and agrees to these Official Rules of the promotion, which shall be final in all matters. Acceptance also gives permission to the Promotion Parties to use image and likeness for marketing purposes without further compensation or right of approval. Acceptance also constitutes permission to the Promotion Parties to use winner’s name and its photography and likeness for marketing purposes without further compensation or right of approval, unless prohibited by law. Sponsor and its affiliated companies will not be responsible for lost, late, or misdirected entries or prize notices or for any typographical, or other error in the printing of the offer, administration of the sweepstakes, announcement of the prize or for the failure of any retailer or third party to forward entries to Judges prior to random drawing. In the event of any such error or failure, Sponsor reserves the right to request that the Judges modify this sweepstakes in a manner deemed reasonable by the Judges, at the Judge’s sole discretion. All federal, state, provincial, territorial, and local laws apply. Any BGA promoters located at participating stores and are responsible for informing customers about the promotion and verifying receipt of Nabisco. 5. WAIVER: By entering this promotion, participant waives all rights to claim punitive, incidental and consequential damages, attorneys’ fees or any damages other than actual out-of-pocket costs incurred to enter. 6. List of Stores: this is an island wide promotion. 7. Sponsor: none. 1. SIMPLY PURCHASE 1 litre bottle of FIJI Water. 2. DROP RECEIPT in entry box with contact details located at front of store. 3. CONTEST ENDS Monday July 31st, 2017. Winners will be picked by August 2nd, 2017. 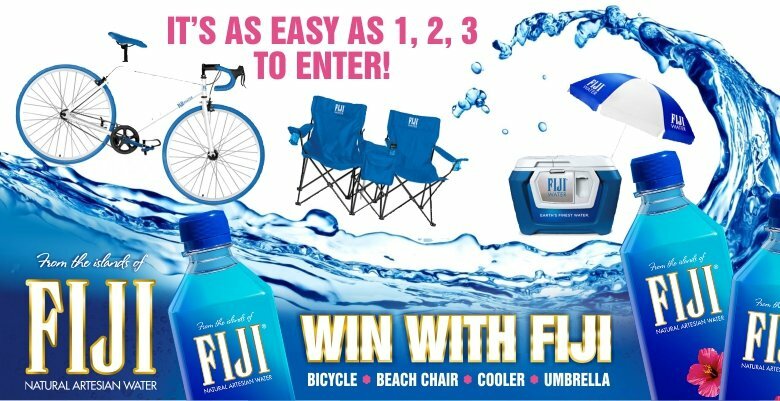 Shop at any Lindo’s store between June 30th, 2017 to July 31st, 2017 and enter to win FIJI Branded Prizes when you purchase any 1 litre bottle of Fiji Water. Winners will be randomly drawn on August 2nd and announced the week of August 7th, 2017. 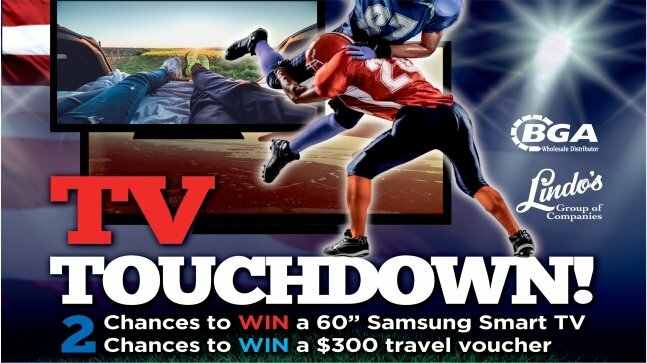 Enter for a chance to win a Samsung Galaxy 8+, one of three $500 Travel Vouchers, or one of four PS4 Playstation 4 Consoles. 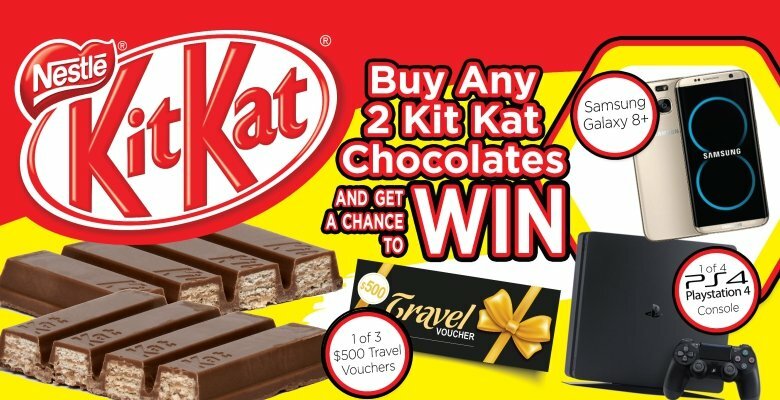 Purchase any two Kit Kat Chocolates. Write name and contact details on back of receipt and bring to BGA – 1 Mill Creek, Pembroke HM05. Staff & family members of BGA and participating stores are not eligible. Promotion runs from July 3 – August 31st, 2017. Winners will be announced the week of September 4th, 2017. Simply purchase any TIDE OR GAIN (46 oz or larger) along with any CHARMIN OR BOUNTY product to enter. Write your name and telephone number on the back of the receipt and drop it off in the ballot boxes located at the front of the store. Open to Bermuda residents only. Employees of Lindo’s Group of Companies and BGA and their immediate families are not eligible to enter. Promotion exclusively at Lindo’s Group of Companies stores.